Are you looking for something that tracks billable hours? There's some GTD apps out there, but I don't know of any time loggers.. Yes, I'm looking for something to track billable hours--nothing as comlex as a GTD system. Jennine, The program you seek is not an evernote program but this program here will more than do the trick! http://www.exaktime.com/mobile-time-clock-pocketclock-gps THE very best time keeping software on the market bar NONE!!! Hours Tracking is a good stand-alone time tracking solution. It's web-based, simple to use and quite a bit more affordable ($1/month) than most of the other full-featured tools out there. Some of the apps offering free accounts don't offer all the features you need to track billable hours for more than one client/project. Good luck! Jennine, I had been using Replicon's simple to use time tracking software and it has been a great tool I came across after going across a lot of reviews etc. such as the one here - http://bit.ly/Q4hBlu. Replicon Mobile App has lot of usability features and supports iPhone, android and other OS. So, this is exactly the same, I had been looking for my time tracking needs. I am also looking for a similar app that works in windows, android and ios for tracking time and linking to evernote. have you found anything yet? TimeEdition is simple, free, and open-source. It's available for Mac, Windows and Linux. If anyone finds the time to contribute to TimeEdition and can add storing of time logs into Evernote, please let me know by posting here! - Ideally, there would be a way to assign a timer to a link on a page. - The link would open TimeEdition to it's detailed view when additional data filtering can be done. - If the timer link on the page is clicked, the timer starts up again, recording a total time for each link added in EverNote! BTW, I'm not affiliated with the project in anyway, but I do use it everyday. Don't know if this would be of any help but I use KustomNote to gernerate my own tracking info for the consulting I do. It allows me to create anything I want. The downside; it is not a running clock so that you just click start. Its just a form app to generate nice entries for your self. TSheets is another great time tracking solution especially if you are looking for a time tracking app you can use on your iPhone or Windows phone. Plus, if you are just tracking time for yourself and 5 projects or less its FREE! Also, the customer service is phenomenal and doesn't cost anything. Hope this helps. I have tried Yaware to track time of my employees, and I do like the tool! Perhaps, it can help you at work as well. Was initially impressed, but when I started to set this up I couldn't find any obvious links into Evernote actions. And when I work on a note that's related to my project for XYZ Corp, does this go under time on Evernote, or time for XYZ? 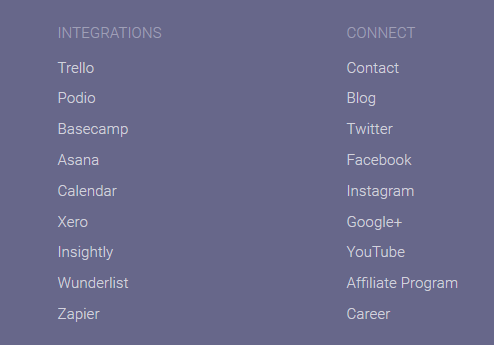 These are the (reasonably impressive) integrations the app claims on its web page - Evernote is notably (pun intended) missing.